The Bitterroot Mushers are hosting a dryland dog race at Lubrecht Forest November 10th and 11th. 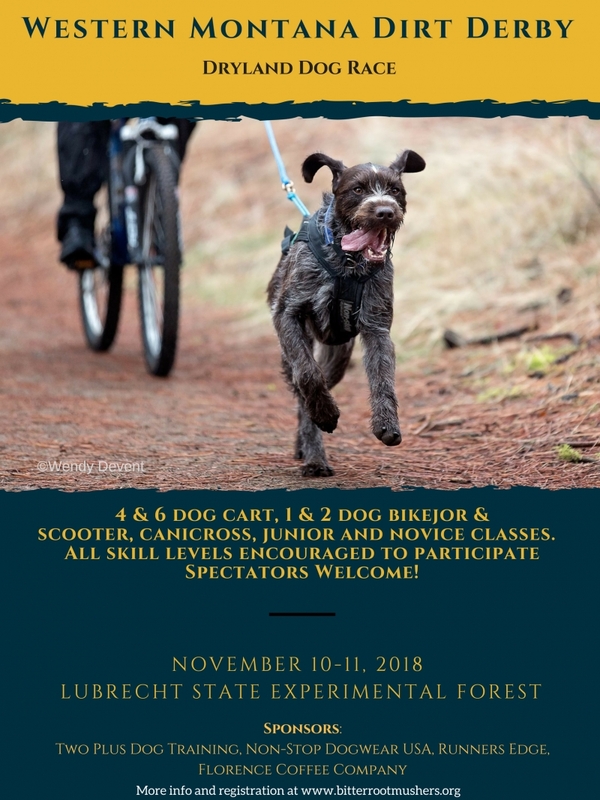 Do you run or bike with your dog? All experience levels are encouraged to participate in this fun event. If you have never seen sled dogs in action come out and watch. More information including registration details can be found on our website.